When was Soccer invented? Historians tend to agree that Soccer was invented in c. 206 BC and the first known use of Soccer was during the Ancient China Han dynasty (206 BC–220 AD) of invention. Who invented Soccer? (called Football in the UK) The name of a specific person has never been credited with the invention of Soccer. The invention of Soccer is so old that the name of the inventor has been lost over time, although the first use of Soccer is believed to have originated in Ancient China. The invention of Soccer is considered an exciting, modern addition to the field of Sport. Also refer to American Football. Definition of Soccer: Soccer is defined as a form of football game, called football in Britain, played with a round ball by opposing two teams of 11 players whose aim is to kick the ball into each other's goal. The football may not be handled during play except by the goalkeepers. The game is so called not because the ball is played with the feet, but because the sport is played on foot rather on horseback. Fact 1: Who invented Soccer? 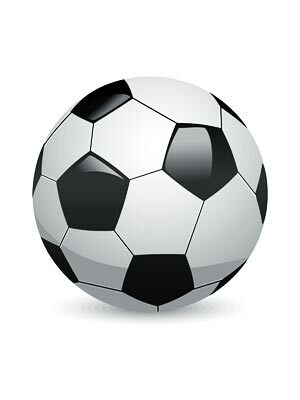 The name of the inventor of Soccer is unknown but it is believed to have been invented in c. 206 BC during the Ancient China Han dynasty (206 BC–220 AD) era of inventions. Fact 2: Who invented Soccer? The Ancient Chinese game was called "Cuju" and like the modern game was played using the feet with no hands permitted. The name "cuju" is roughly translated as "kick the ball with foot". The Ancient Chinese ball was made from leather that was stuffed with fur and the goals consisted of a piece of cloth hung between two poles. Fact 3: Who invented Soccer? The simplicity of the game resulted in different versions being invented in other ancient cultures. In Ancient Egypt footballs, covered with linen or animal intestines, have been found in the tomb of Baqet III, an ancient Egyptian official who served Pharaoh Mentuhotep II (reigned c. 2061 BC – 2010 BC). Fact 5: Who invented Soccer? The Roman Empire also had their own version of soccer, also similar to rugby, called Harpastum in which the only aim was to get the ball to the opposing team’s goal. The Roman game of soccer was played by various numbers of players and resulted in players acquiring many injuries including broken bones. It was played on a designated field or in the streets of Rome. Different types of balls were used including a hand-ball (pila), a bladder-ball (follis) and a feather-stuffed ball (paganica). Fact 6: Who invented Soccer? In the Dark Ages a gruesome form of soccer was invented when a Viking lord was decapitated during a battle in Britain. His head was used as a 'football' to celebrate the victory. Fact 7: Who invented Soccer? Another early version of British soccer was called "Mob Football". As indicated by the name it was played by an unlimited number of players, sometimes up to 500, between neighboring towns and villages. An inflated pig's bladder was used as the football. An early Medieval version of the game called 'Shrovetide football' in which matches were traditionally played on on Shrove Tuesday and Ash Wednesday. The only rules were that 'murder and manslaughter are prohibited' during games. Fact 8: Who invented Soccer? The popularity of the dangerous and riotous games of Mob Football, and damage to property during matches, grew to such an extent that a succession of English Medieval kings including King Edward II and King Edward IV banned the game. In 1409 King Henry IV provided the first documented use of the English word "football" when he issued a proclamation forbidding the levying of money for "foteball". Fact 9: Who invented Soccer? Queen Elizabeth I took the law further imposing a penalty of one week in jail for playing mob football. However it was to no avail and by the end of the 14th Century, the game of soccer had become deeply embedded in the English culture. Fact 10: Who invented Soccer? The Beginning of Modern-Day Football began in the mid 1800's when in 1848 the Cambridge Rules for football were drawn up at Cambridge University, England. Official referees were to supervise matches ensuring that the new codes and rules for allowing goal kicks, throw-ins and for preventing running whilst holding the ball were enforced. Fact 11: Who invented Soccer? In 1857 the first football club in the world, Sheffield F.C., was founded and the club created the Sheffield rules introducing the concepts of corners, throw-ins, and free kicks for fouls. Fact 12: Who invented Soccer? In 1863 the Football Association was founded and rules were created, heavily based on the Sheffield rules and defining the point of divergence from rugby. In 1871 rules were introduced specifying the position of the goalkeeper and in 1891 the penalty kick was introduced. Fact 13: Who invented Soccer? The first Football Association (FA) game was between Scotland and England in 1872. The popularity of the sport increased still further and great football stadiums were built to accommodate the growing numbers of spectators. Between 1870 - 1880 many other European countries formed club teams. Fact 14: Who invented Soccer? In 1891 the word 'socca', (later soccer), was first invented as a slang word in England to distinguish between rugby football and association football. The slang word 'socca' derived from a shortened form of Assoc. as in Football Association. Fact 15: Who invented Soccer? In May 1904 the soccer governing body for worldwide countries was established and named FIFA (International Federation of Association Football). FIFA was formed to regulate and promote association football. Fact 16: Who invented Soccer? New rules were introduced to enhance and regulate the game. In 1925 the offside rule is reduced from three to two defending players between the player and the opponent's goal line. Fact 17: Who invented Soccer? The FIFA World Cup international association football competition was established in 1930. The tournament takes place every four years and attracts millions of spectators via TV. The World Cup final match is the last of the competition and the winners are awarded the much coveted, solid 18-carat gold, Jules Rimet Trophy. Fact 18: Who invented Soccer? Substitutes were introduced in 1958. In 1970 the system of penalization with red and yellow cards was introduced and the back-pass rule came in 1992. Fact 19: Who invented Soccer? In 1967 two professional soccer leagues were started in the United States; the United Soccer Association and the National Professional Soccer League, which merged to form the North American Soccer League in 1968. Fact 20: Who invented Soccer? In 1981 Us professional cheerleader "Krazy" George Henderson invented the "Wave" which reached reached Global proportions in 1986 during the FIFA World Cup in Mexico - hence its alternative name, the Mexican Wave. Fact 21: Who invented Soccer? In 2012 Goal-line technology, aka Goal Decision System, was first used in competition at the 2012 FIFA Club World Cup.